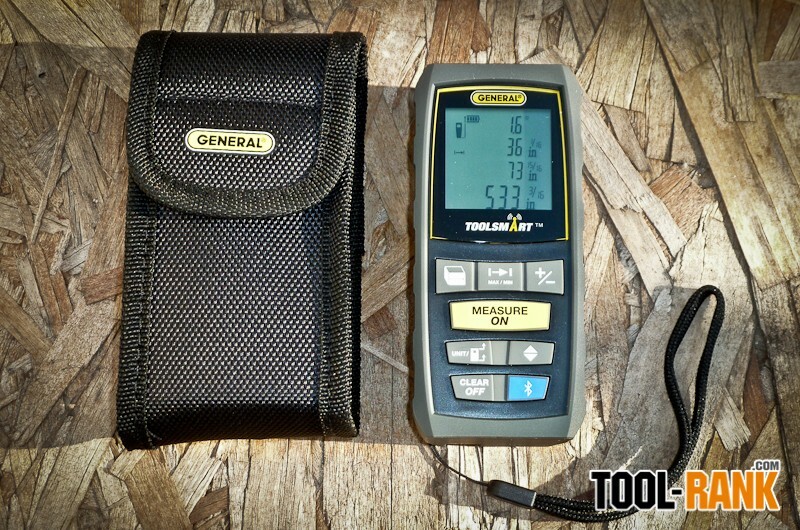 When General Tools announced their new line of ToolSmart smart tools and asked me to review them, I said I was game. I think the idea of smart tools is what most tools will be in the future, which is why I wanted to see what Generals Tools has to offer. I wasn't really expecting a whole lot from General Tools, after all, they are not one of the big four; but boy was I in for a surprise. The idea behind smart tools is to have them do some kind of task or work for you, in the case of General Tools, their ToolSmart tools store information so that you don't have your scribbles written on a wall or on a scrap piece of wood that your will probably lose. The General Tools ToolSmart line includes a Laser Distance Measurer, a Video Inspection Camera, a Digital Multimeter, and a Digital Angle Finder. 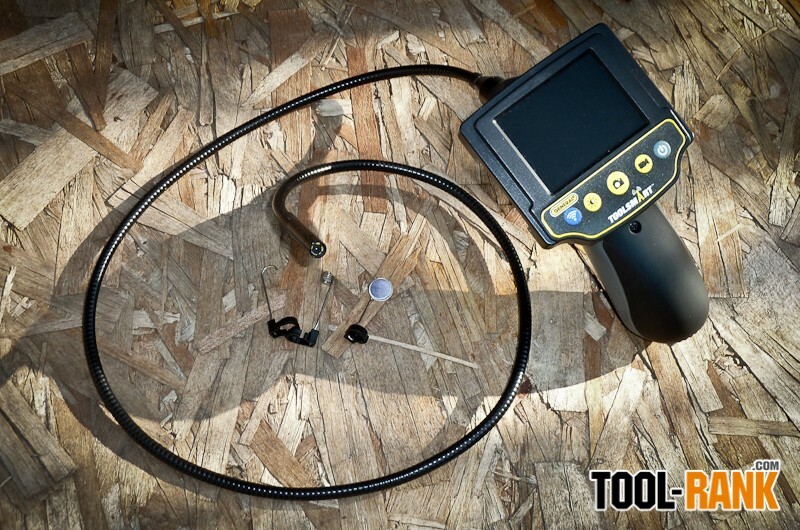 All of these tools can connect to a smartphone via the ToolSmart app and relay the information provided by the tools. 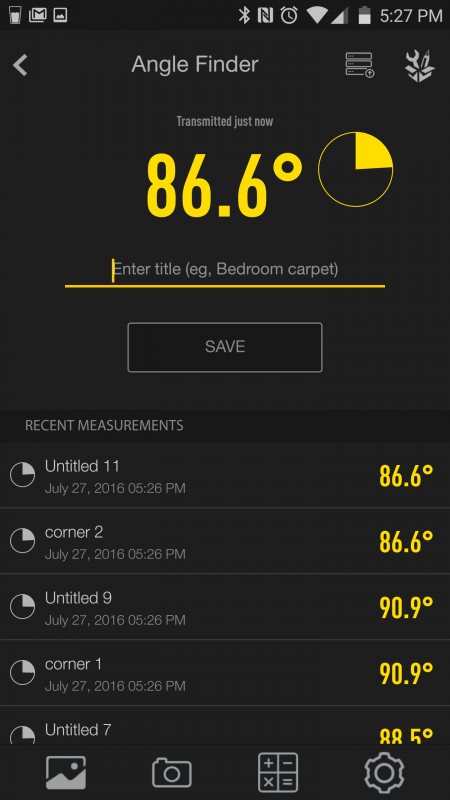 The ToolSmart app also allows users to use and recall the information to do calculations or overlay the information onto photos. The ToolSmart Laser Distance Measurer is a full-fledged LDM that has all the features you would expect from a professional grade tool, with a range of 100-feet and 1/16-inch accuracy. In addition to simple point to point distance measurements, it can measure volume, area, length and height from a distance; do addition and subtractions; and more. It has a multi-line display to recall past measurements, or you can use the app to recall measurements and calculate past measurements. 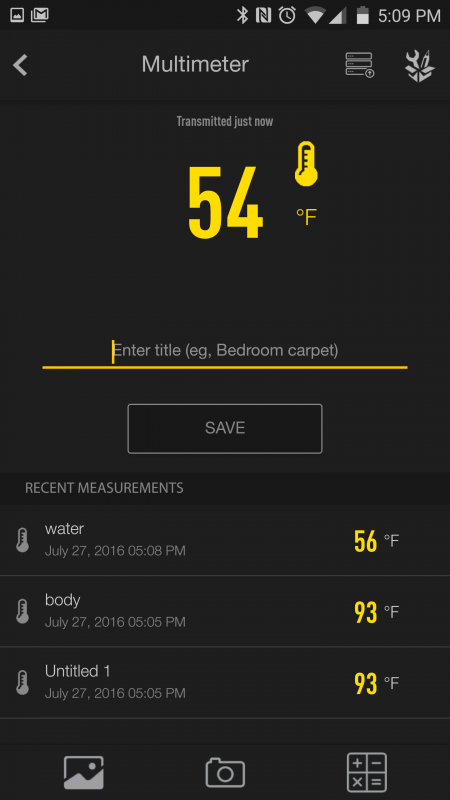 The app can store all recent measurements, or you can use the Bluetooth button on the device to send the current measurement to the phone so it can be labeled for future reference. For only $70, you are getting a laser distance measurer that can compete with models that cost 3x as much. 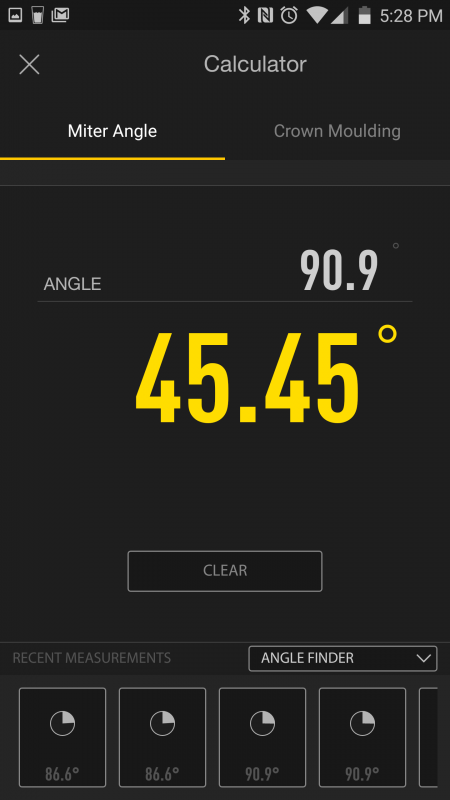 The ToolSmart Digital Angle Finder might be the simplest of the tools, but I think it benefits most from the ToolSmart App. 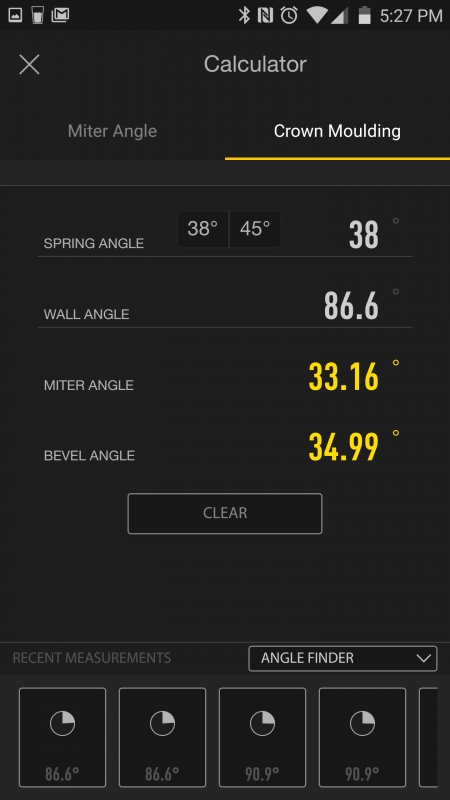 Without the app is is just an angle finder, but with the app, it can calculate miters, and more importantly the miter and bevel angles for cutting crown molding. Like with the LDM, you can send angles to the phone by pressing the Bluetooth button on DAF. Then, it is as easy as dragging the saved measurements into the current slot in within the app. It can measure interior and exterior angles up to 225-degrees in seconds with an accuracy of 0.3-degrees and a resolution of 0.1-degrees. A zero button also allows users to see the difference between two or more angles. 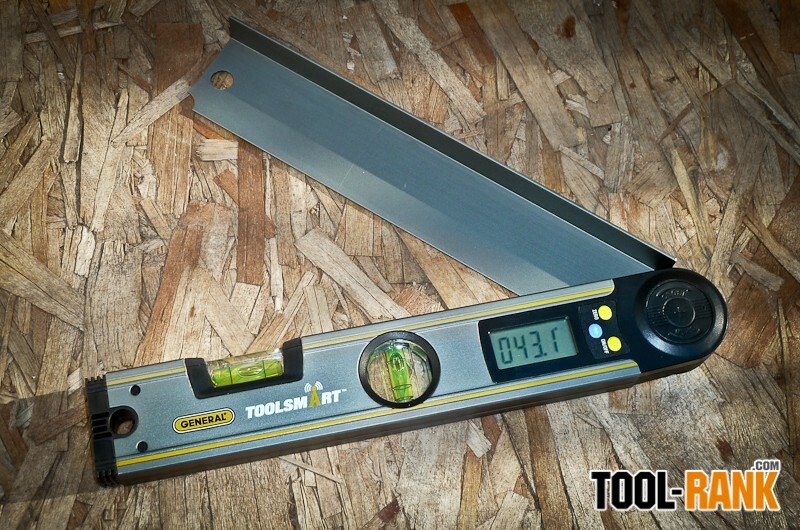 A miter finder that does crown calculations inside the tool might cost you $150, by letting the app do the work, the ToolSmart Digital Angle Finder only costs $50. The General Tools ToolSmart Video Inspection Camera is the most expensive of the tools, costing around $130; though it is still cheaper than most other video inspection cameras on the market that allows you to record video or save photos. They were able to keep the price down by offloading the recording duties to a smart device connected via the app. This means you will always need the app running if you want to record photos or video, otherwise the tool can function without the app. The smart device can also act as a second screen, allowing others to view the action. The General Tools Inspection Camera features a 2.7-inch color LCD screen that displays images pretty clearly from the 8mm camera with a 640x480 resolution. The flexible probe is 3.3 long and is IP67 Water/Oil/Dust resistant. When you need to do more than just see, included probe accessories allow it to hook items, grab items magnetically, or view around corners with a 45-degree mirror. The image quality from the camera is by no means HD quality, but it is good enough to see things at close range. The probe features LED lights that make it possible to see in the dark, and the brightness can be adjusted to suit your needs. Still, the light is only bright enough to see only a few inches in front of the camera. There might be better inspection cameras in this price range, though they won't have video or image recording. 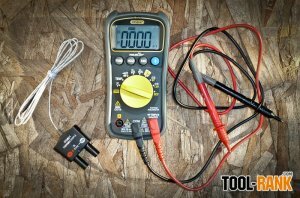 I will be honest that I don't spend a lot of time using multimeters, and don't know what half of the functions do, but I can tell you that the ToolSmart Digital Multimeter from General Tools can do a lot. 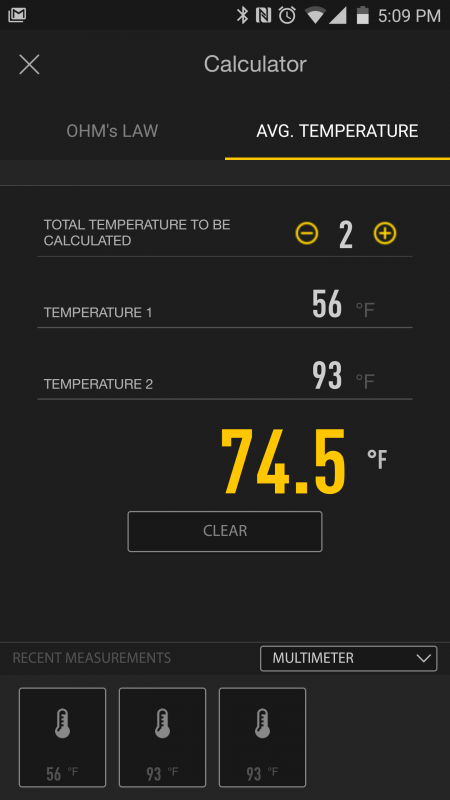 In total, it has 10 functions, and most of the readings can be viewed directly from the inside the app. So if you are checking an outlet and need to flip on power in the other room, you will be able to see if the power went on before having to go back to the outlet. Some of the key features include measuring AC/DC voltage, current, resistance, and measuring surface temperature. It can also test continuity, diode integrity, and battery voltage. One of my favorite features, though, is the built-in non-contact voltage detector. Like I said, the tool can do way more than I need, and sure there are other multimeters that can do the same or more, but the ability to see the measurements wirelessly while I am working in another room, is a real benefit. Plus I can look back at my measurements for reference or reports. Like the other ToolSmart tools, I don't think you can find any other multimeter for $50 that can connect to a smart device for date logging or remote viewing. I am honestly surprised by what General Tools is offering with their ToolSmart line for the price they are selling for. Other tools with similar functions will sell for quite a bit more money, and the General Tools don't seem to be lacking in features, as far as I have noticed. I don't see these as being rugged enough for contractor use, but they should be strong enough for use around the house. Another thing General Tools did right was to include batteries with all of the tools; you have everything you need right in the box — except for a smartphone and the app.